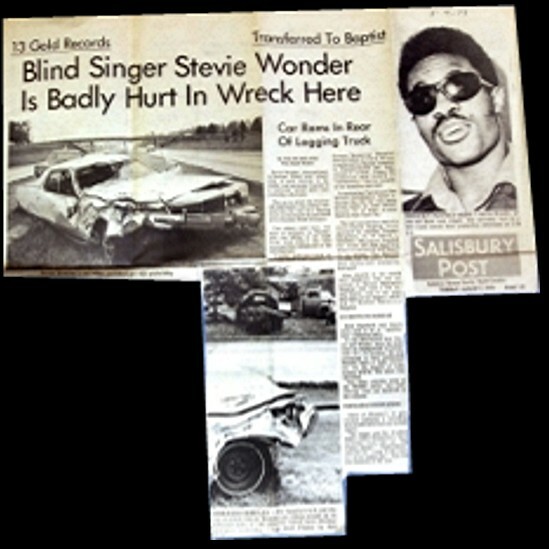 2017 marks the 44th anniversary of Stevie Wonder’s near-fatal car accident, which occurred three days after the release of his masterpiece “Innervisions.” Within the next three years, Wonder, who was 23 years old when the accident occurred, would write and record “Fulfillingness’ First Finale,” “Songs in the Key of Life” and the soundtrack ”Journey Through the Secret Life of plants. Wonder’s injuries were critical. According to reports, he was riding in the front passenger seat of a rental car in west-central North Carolina when it struck the back of a flatbed truck used for delivering lumber. Wonder, who was asleep, was knocked unconscious. He bled profusely from head wounds: He may have been struck by a log that burst through the shattered windshield. Other reports state the truck was empty save for loose wooden shards. Wonder was rushed to a local hospital, then transferred to a larger facility in Winston-Salem, where he remained in a coma for several days. 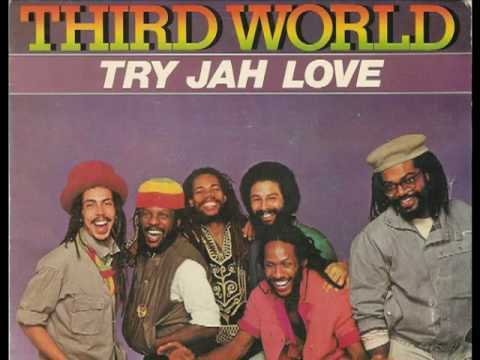 Ira Tucker Jr., the son of the lead singer of the Dixie Hummingbird and a Wonder aide, is reported to have sung “Higher Ground” – which appears on “Innervisions” – to the unconscious artist, who began to move his fingers. Soon, Wonder regained consciousness. He was released from the hospital two weeks later; briefly, he lost his sense of smell and suffered reoccurring headaches. Scars on his forehead are still visible today. 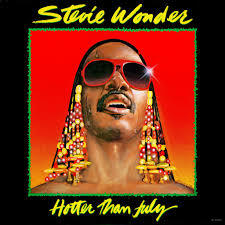 Before we get into what is public knowledge about Stevie wonder, we must take in a look at the esoteric side of his life, first I will say I have been researching and writing about this matter for the past 36 years by year 2017.and of yet I Have not been able to get an interview with him. 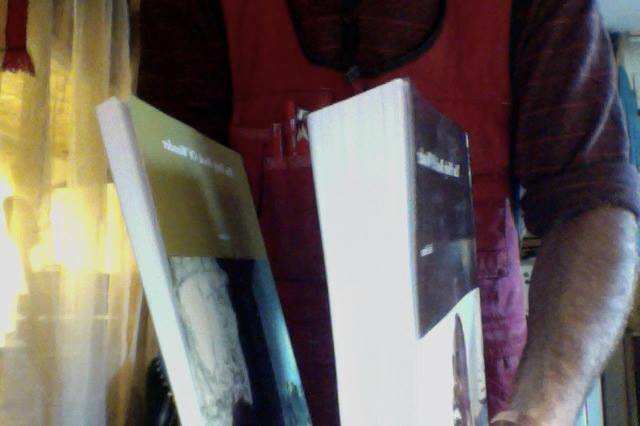 The results of my obsession in this matter of wonder is currently recorded and published in a master works called the Holy Book of Wonder. From the book 5/5/2000 by Richard W Noone, it states that when the number 23 start showing up in your life you are in contact or being contacted by a higher power, we must note that the number 23 is the resonant number of Sirius the enigmatic Egyptian dog Star. 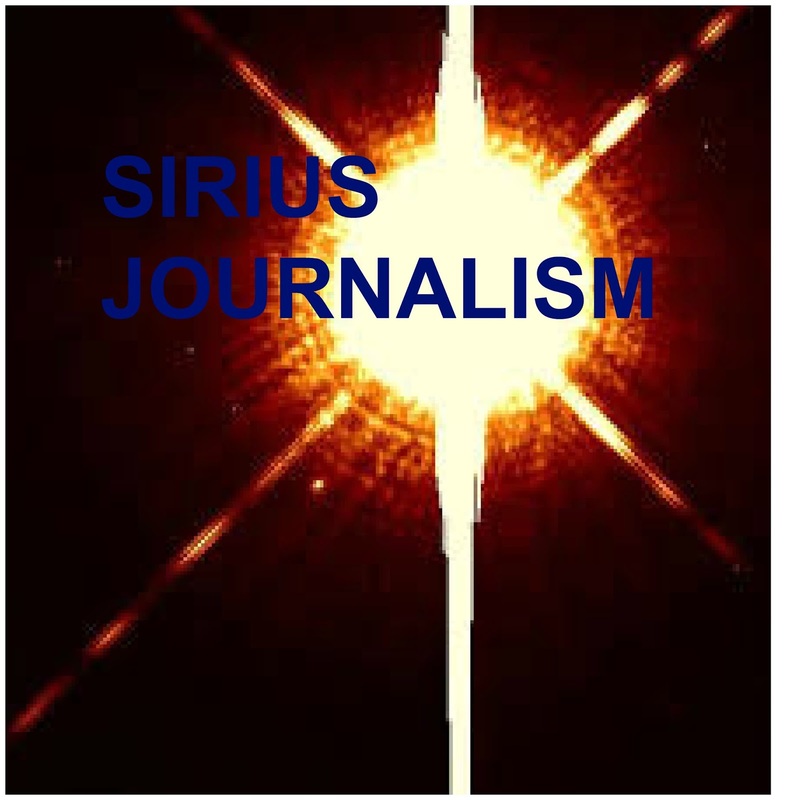 And it is written in Holy Quran sura 53 the star verse 49 which is a mathematical code: and He, Allah is lord of Sirius. 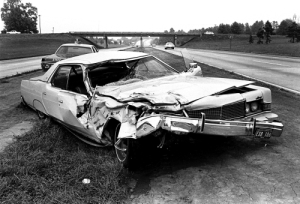 Note that at the time of the 6th August 1973 accident Stevie wonder was age 23.also the driver of the truck was age 23. 2x23-46 reversed is 64 which allude to genetic coding… what we wish to cause out that the readers see here is the influence of Sirius on the life of Stevie wonder. Note the accident occurred three days after the release of his masterpiece “Innervisions.” Note that in the Sirius constellation there are three stars known as Sirius A. Sirius B. and Sirius C. Within the next three years, Wonder, who was 23 years old when the accident occurred, would write and record “Fulfillingness’ First Finale,” “Songs in the Key of Life” and the soundtrack ”Journey Through the Secret Life of plants. Thus the foundation and inspiration of The Holy Book Of Wonder: as July and august are the hottest days of summer having to do with what is called dog days, when Sirius conjuncts earths sun, normally around July 23rd which is coincidently the birth date of The Ethiopian King Halie Selassie, in the song with a reggae rhythm titled Master Blaster Jamming, there are prophetic lyrics which states “when you are moving in the positive, your destination is the brightest star” and it is known fact that Sirius is the Brightest star of The Heavens. So at the essence of this thesis is that the accident induced coma took the soul of Stevie wonder to the constellation Sirius where it was programed and sent back to earth, upon awaking with a message to the world which was to be delivered through Reggae music and The Rastafari movement, as the song Master Blaster jamming was a dedication and memorial to The Rastafari Prophet Bob Marley. 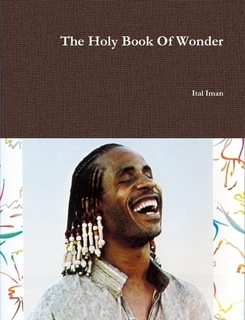 In holy book of wonder one will see the struggle and the seeming impossibility of the writer to get an interface with the subject of the book, the star of the show, the many encounters with the people surrounding Stevie wonder his family and friends employees and even at times being in the presence of Stevie wonder and then being taken away by the powers that be around him. Over the past seven years since the Obama administration there is the appearance of madness in the arena of entertainment many conspiracy theories have surfaced also many strange deaths and talk of illuminati soul selling ,cloning and just crazy things, I have never wondered of the possibility of Stevie wonder being cloned or dead ,I have wondered why was it impossible for me in my endeavor and people with literally nothing to say are granted conversations with Stevie wonder all the time, but when it comes to me it’s a no- no, and I have been making big noise concerning Stevie wonder for over three decades, yet have I to consider the possibility that Stevie wonder was not real dead or a clone etc., I realized the depth of his importance after Ewart Abnor had passed away. I did not think much about the passing of his brother Larry who grew dread locks, I have had a meeting with Abnor and Melody McCulley, mother of his son.fought with his other two brothers, and had what I thought was a meaningful meeting with the laroda group a clandestine security firm which at one time always surrounded him, at this time I realized that the government has 'something to do' with Stevie wonder, currently he is The UN AMBASSODER OF PEACE, also known as a national treasure, he appears to be very close to the Obama ADMINERSTRATION,AND this is the point where I know there is a great possibility something could be very wrong, now I see he's campaigning for or speaking good of Hillary Clinton and this sign to me is not good at all. 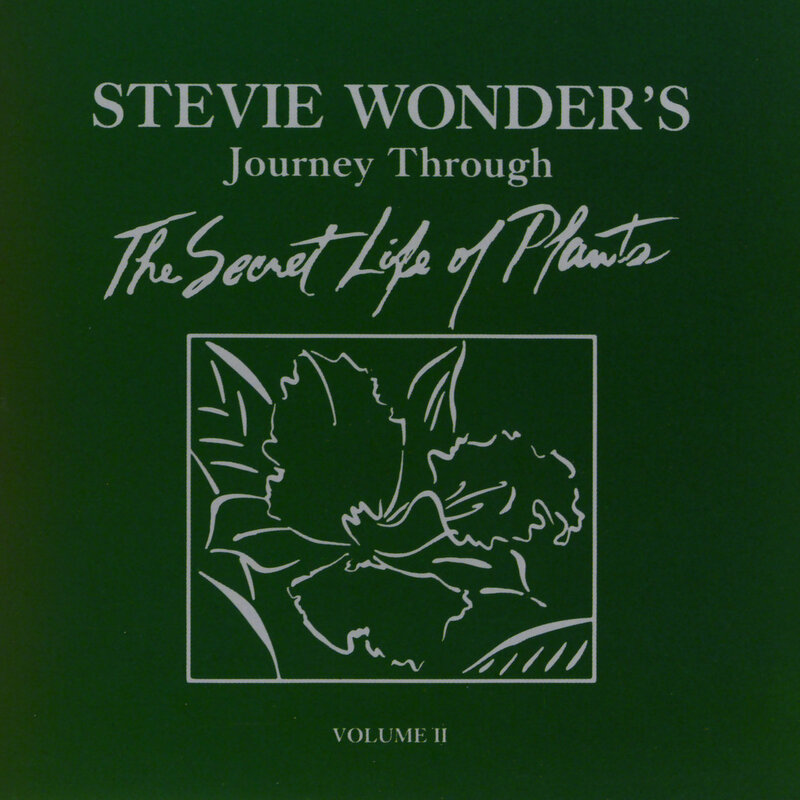 You are the Sunshine of My Life was just descending the charts after reaching number one whilst Stevie’s new single Higher Ground which spoke about spiritual progression through reincarnation, was just beginning its upward climb. 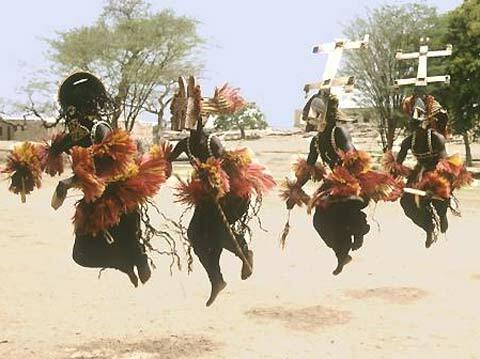 His recently released album, Innervisions, six days earlier was receiving rave reviews. It was 6th August 1973 and the prodigious 23 year old singer, songwriter, musician and producer was heading north on Interstate 85 on a hot dry Monday afternoon after a performance the night before in Greenville, South Carolina. In a wide 1973 Mercury Cruiser, a rental car from Hertz, driven by his cousin John Wesley Harris, Stevie was on his way to a benefit performance for the radio station WAFR in Durham sitting in the front passenger seat. Behind them were two other cars from Stevie’s entourage. 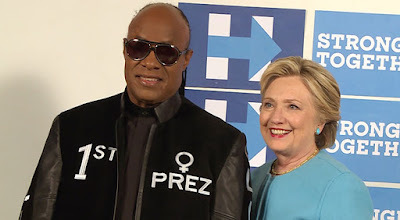 Stevie had with him a reel-to-reel tape recorder along with two-track mixes of "Innervisions" which he wanted to listen to. Needing a connection to power the player from the car, Harris stopped off briefly at an electronics store near Charlotte to purchase a suitable cable. 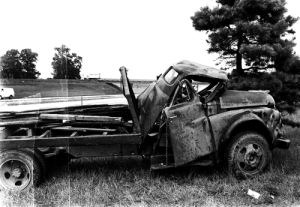 Stevie Wonder Accident in 1973 As they approached the town of Salisbury at around 1:40 p.m., just ahead of them was 23 year old Charlie Shepherd in his 1948 Dodge flatbed farm truck. A sleeping Wonder was wearing headphones, and Harris, distracted by something, failed to notice the flatbed truck ahead of them. There have since been conflicting accounts of the series of events that led to the injury of Stevie. One of the more popular reports that still pervade books and the internet was that a log came flying off the truck, crashed through the windshield of Wonder’s car and hit him on the head, sending him into a coma. However Shepherd in a statement later had said he had already delivered his load of logs in China Grove and that the back of his truck was empty as he headed for home on Interstate 85. Newspaper photographs taken on the scene don't show any large logs on the back of the truck, just some small pieces and broken boards. That seems to mesh with what Stevie told attorneys as part of a civil suit filed in connection with the accident in 1976. He said the bed of the truck crashed through the windshield and hit him in the forehead with "great force." The 2002 biography "Blind Faith: the Miraculous Journey of Lula Hardaway”, Stevie Wonder's Mother retold the story as follows: "There was a great, grinding screech as metal hit metal and, then, impossibly, as if in some lavishly produced Hollywood action movie, one of the great logs disencumbered itself of the truck and came crashing through the windshield, spearing Stevie square in the forehead." Stevie Wonder Accident in 1973Piecing together the disparate versions of the incident it is clear that Stevie’s car did crash into the back of the flatbed truck, and the bed of the truck shattered the windshield and struck him a glancing blow to the head as he would have moved forward as a result of the impact. As a result of the collision, Shepherd felt the jolt behind him and realized, that his truck was sliding out of control toward the college on his right. The car skidded toward the median. Shepherd's truck began tipping, then went into a full roll as its momentum carried it completely over and it landed back on its wheels in the grass just south of the overpass. Shepherd’s both ankles were broken and his upper lip badly cut. Stevie was unconscious, however his cousin, John suffered cuts to his thigh and had glass lodged in his fingertips from the shattered windshield. Soon members of the band, traveling in the two cars behind, arrived at the scene and stopped in a panic. One of his brothers rushed to the car, which had come to rest in the median, and noticed immediately that Stevie was unresponsive and bleeding from his forehead and scalp. Stevie was transferred to one of the other cars. Asking directions to the nearest hospital - Rowan Memorial Hospital, they headed off with the unresponsive singer. C&M Ambulance Service, the private ambulance company that served Rowan County, arrived later to transport Shepherd and Harris. Charlie Shepherd, flat on his back in the emergency room, noticed Wonder waiting close to him. But he had no idea who Stevie Wonder was; he had never heard of the pop star. The two men, both 23 from very different backgrounds, met by some chance of destiny on that faithful day. 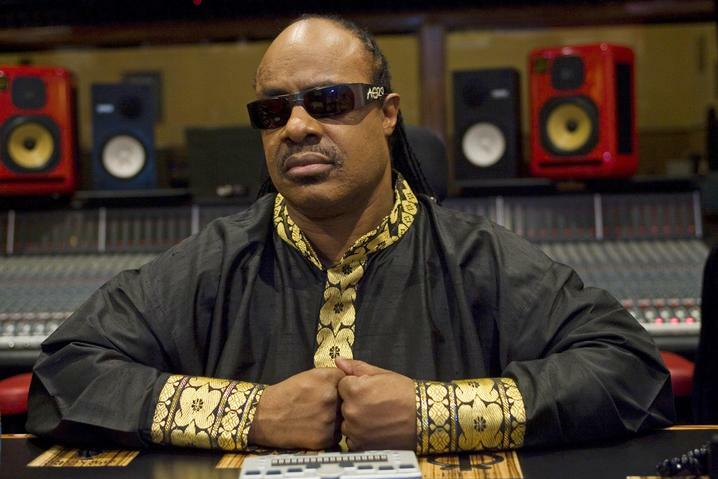 Word spread quickly that Stevie Wonder had been injured badly in the I-85 accident. People from across the world — reporters from ABC, NBC, CBS and the BBC, fellow entertainers and fans — were calling the hospital, digging for any kind of information on Steve's condition. Rowan Memorial doctors already were making plans to move Stevie to N.C. Baptist Hospital because, it would be said later, the Winston-Salem hospital had "neurological facilities." A representative for The Jackson 5 also had called the hospital and offered the group's private plane to fly Wonder anywhere in the country. That same night, about 9:05, Wonder arrived at N.C. Baptist Hospital's intensive care unit in Winston-Salem — his vital signs were stable but he was still unconscious. Stevie's mother, Lula Mae Hardaway, heard a news bulletin about the wreck at her home in Detroit and quickly made travel arrangements for Winston-Salem along with some of her other sons. The Jackson 5, performing in Greensboro, visited Wonder the day after the wreck. By telegram and telephone, other entertainers such as former Beatle Paul McCartney, Roberta Flack and members of the popular band Chicago sent hopes for a speedy recovery. Meanwhile, word of Wonder's condition at N.C. Baptist eked out morsel by morsel. On the Tuesday, doctors upgraded Wonder's condition to satisfactory, but he remained in the intensive care unit with what they described as "a bruise on the brain." A hospital spokesman said no surgery was "indicated or contemplated" and that no significant change in the singer's condition was expected over the next 48 hours. A doctor also told the newspaper that Wonder's chances for a complete recovery were good. Wonder's longtime friend and publicist Ira Tucker couldn't even recognize the star. To Tucker, the singer's head seemed to be swollen five times its normal size — "and nobody could get through to him." A 2002 biography on Lula Hardaway, "Blind Faith," also mentioned how Wonder's family and friends were trying to reach Wonder with their words. The book recalls: "First one visitor and then another would gingerly take his hand, lean over to his one exposed ear and gently say, “Stevie, you there?" The process of regaining full consciousness was taking awhile. But the turning point in his hospital recovery as an oft-repeated story goes — when Ira Tucker loudly began singing "Higher Ground" to the comatose singer. “Gonna keep on tryin' til I reach my highest ground.” Tucker soon noticed Wonder moving his fingers in time to the song — doing keyboard licks on the hospital bed. 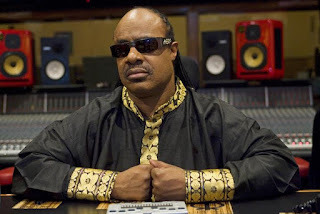 Stevie Wonder Accident in 1973Three days into his hospital stay Stevie was able to talk enough to answer simple questions and was making slow, steady progress." The next day he was being fed liquids by mouth, instead of intravenously, though he remained in intensive care. Charlie Shepherd stayed in Rowan Memorial Hospital for three days. His injuries, which included two broken ankles, kept him from working for the next three months. All the flowers that were coming to him, Stevie had sent to children patients at the hospital. 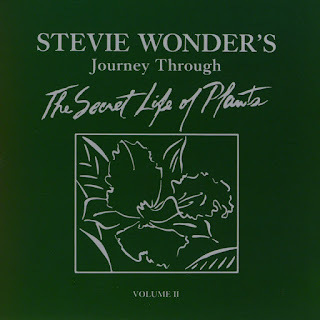 Stevie also befriended a hospital security guard named Larry Woolard, whose wedding he would attend two years later. On Aug. 18 at the hospital, dressed in red with a green fatigue cap, Wonder gave his first interview since the accident, though he declined going into details about the wreck itself, saying he really didn't remember much. “The only thing I know,” he said, “is that I was unconscious, and that for a few days, I was definitely in a much better spiritual place that made me aware of a lot of things that concern my life and my future, and what I have to do to reach another higher ground.” His reference to "Higher Ground" was no accident. Standing with Stevie at the interview session was Ewart Abner, president of Motown; Tucker, his publicist, and Charles Collins, his administrator. Stevie said the hospital was warm and the people, beautiful. “I've gotten the feeling of being loved not just because of me being Stevie Wonder, but being loved as a person,” he said. With a new sense of mortality, Stevie left Baptist Hospital Aug. 20, 1973, to convalesce at the University of California at Los Angeles Medical Center. His mother, three brothers, a registered nurse and Abner accompanied him. Wonder would not perform again until March 1974 in New York's Madison Square Garden. He told Crawdaddy magazine he felt like he had a second chance at life. "What happened to me was a very, very critical thing, and I was really supposed to die," he said. When plastic surgery was suggested to remove the mark left by the crash, he said "I will leave it as one of the scars of life I went through." 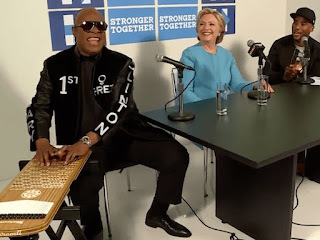 “Innervisions is the 16th studio album by American musician Stevie Wonder, released August 3, 1973, on the Tamla label for Motown Records, a landmark recording of his "classic period". The nine tracks of Innervisions encompass a wide range of themes and issues: from drug abuse in "Too High", through inequality and systemic racism in "Living for the City", to love in the ballads "All in Love Is Fair" and "Golden Lady". The album's closer, "He's Misstra Know-It-All", is a scathing attack on then-US President Richard Nixon, similar to Wonder's song a year later, "You Haven't Done Nothin'". Three days after the commercial release of Innervisions, on August 6, 1973, Wonder played a concert in Greenville, South Carolina. While on the way back, just outside Durham, North Carolina, Wonder was asleep in the front seat of a car being driven by his friend, John Harris, when they were snaking along the road, behind a truck loaded high with logs. Suddenly the trucker jammed on his brakes, and the two vehicles collided. 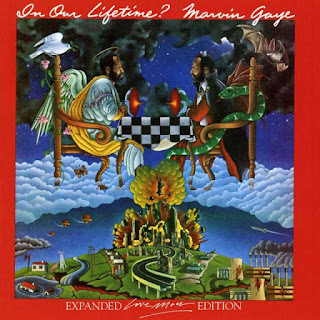 Logs went flying, and one smashed through the wind shield, sailing squarely into Stevie Wonder's forehead. He was bloody and unconscious when he was pulled from the wrecked car. For four days he lay in a coma caused by severe brain contusion, causing media attention and the preoccupation of relatives, friends and fans. ... I remember when I got to the hospital in Winston-Salem. Man, I couldn't even recognize him. His head was swollen up about five times normal size. And nobody could get through to him. I knew that he likes to listen to music really loud and I thought maybe if I shouted in his ear it might reach him. The doctor told me to go ahead and try, it couldn't hurt him. The first time I didn't get any response, but the next day I went back and I got right down in his ear and sang Higher Ground. His hand was resting on my arm and after a while his fingers started going in time with the song. I said yeah, yeah!! This dude is going to make it! Wonder's climb back to health was still very long and slow. 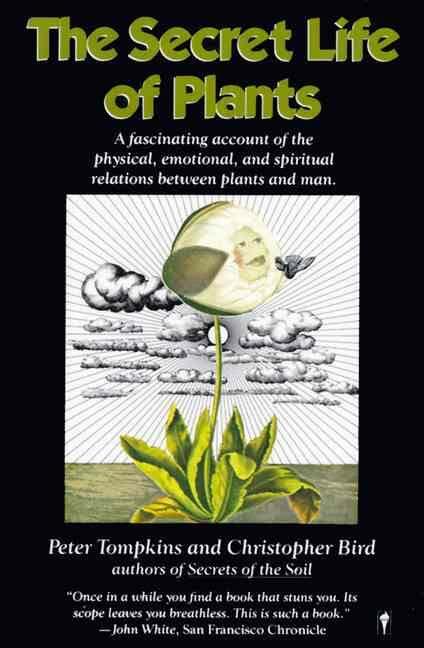 When he regained consciousness, he discovered that he had lost his sense of smell (which he later largely recovered). He was deeply afraid that he might have lost his musical faculty, too. ... We brought one of his instruments—I think it was the clavinet—to the hospital. For a while, Stevie just looked at it, or didn't do anything with it. You could see he was afraid to touch it, because he didn't know if he still had it in him—he didn't know if he could still play. And then, when he finally did touch it... man, you could just see the happiness spreading all over him. I'll never forget that. ... Well, I think he'd always had some awareness of the spiritual side of life. But the accident really brought it to the surface. Like now I know he really sees and uses every concert as the spiritual opportunity it is, to reach people... The accident made him recognize God, it changed him a lot. Sometimes he'd just drift off in conversation, he'd just... be some place else. He got really intense after the accident, his ESP got really strong. ... I would like to believe in reincarnation. I would like to believe that there is another life. I think that sometimes your consciousness can happen on this earth a second time around. For me, I wrote Higher Ground even before the accident. But something must have been telling me that something was going to happen to make me aware of a lot of things and to get myself together. This is like my second chance for life, to do something or to do more, and to value the fact that I am alive. Before the accident, Wonder had been scheduled to do a five-week, 20-city tour between March and April 1974. It was postponed, with the exception of one date in Madison Square Garden in late March. That concert began with Stevie pointing to his scarred forehead, looking up, grinning, and giving "thanks to God that I'm alive." 21,000 people in the crowd roared with applause, and as a Post critic noted, "it was hard not to be thrilled."